Laid back, cool Cape Town is among the top South African holiday destinations. Our stunning skyline and the breathtaking views of Table Mountain from Bloubergstrand frequently feature in picture-perfect images of one of the most beautiful Capes in the world. Actually, let’s be totally honest. We are convinced that our Cape is by far the most beautiful of them all, so let’s agree to drop the diplomatic “one of the most beautiful Capes” statement in the interest of transparent opinion. As lovely as the beach at Bloubergstrand is, it’s only one of Cape Town’s beaches. We’re spoiled with a host of sensational white, white sandy beaches, so it would be really difficult to single out one as being the beach of all beaches. Nevertheless, we must make a special mention of Clifton’s beaches, particularly 4th Beach, where the rich and famous live and hang out. Clifton 4th Beach is the place to see and be seen; it’s an accepted fact and no one feels the need to make excuses for Clifton’s luxurious lifestyle, least of all its residents. Actually, we at Tigger 2 so admire Clifton’s 4th Beach, its opulent homes, and the fortunate few who live there, that the ocean off this beach is the destination of our luxury charter boat cruises. 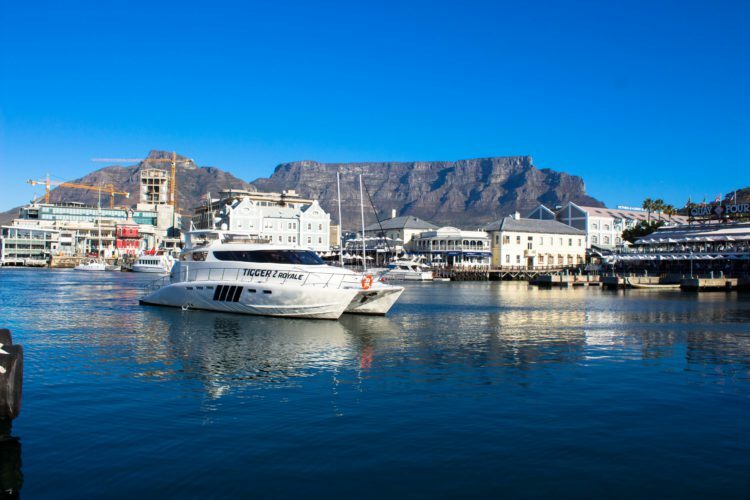 It’s the point at which we pause to admire what’s before us, before turning around and setting a course back to Cape Town’s V & A Waterfront marina, home of Tigger 2, our company, and Tigger 2 Royale, our cruise vessel, which is available for non-private and private charters. The Cape Town experience and its popularity as a preferred holiday destination amongst the majority of visitors is undiminished, despite our current big problem – a dire shortage of fresh water after a long drought, caused by environmental factors, unusual weather patterns, and an unusually poor rainfall during a couple of rainy seasons. South Africans and Capetonians are renowned for their resilience and ability to make the best of a bad situation. Residents (and no doubt visitors too) are cooperating to save water rather successfully. So much so that Day Zero has once again been moved forward. In Cape Town, we hope for a good rainy season. We know that this shortage is a passing problem. We’ll continue to be a preferred holiday destination – finish and klaar (that’s just the way it is).